What’s It Like to Drive Cottonwood Canyon Road? 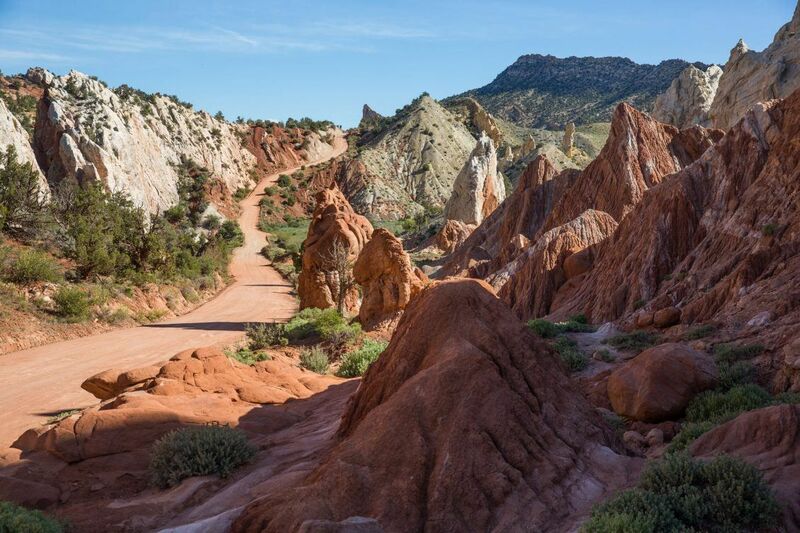 Cottonwood Canyon Road is a scenic, unpaved road that travels through Grand Staircase-Escalante National Monument. It connects the town of Cannonville with Highway 89, just west of Big Water. Tim and I drove this road during our road trip through Arizona and Utah. 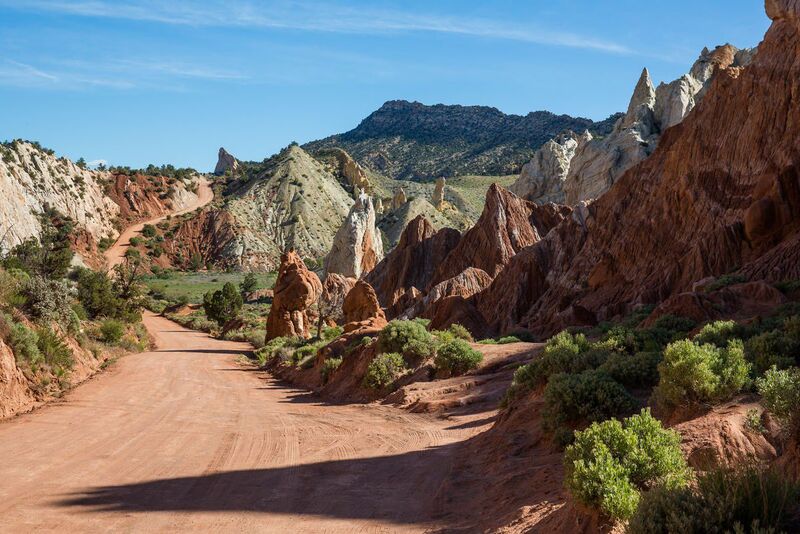 Since we were traveling from Page, Arizona up to Escalante, Utah, Cottonwood Canyon Road was the perfect shortcut through Grand Staircase-Escalante. 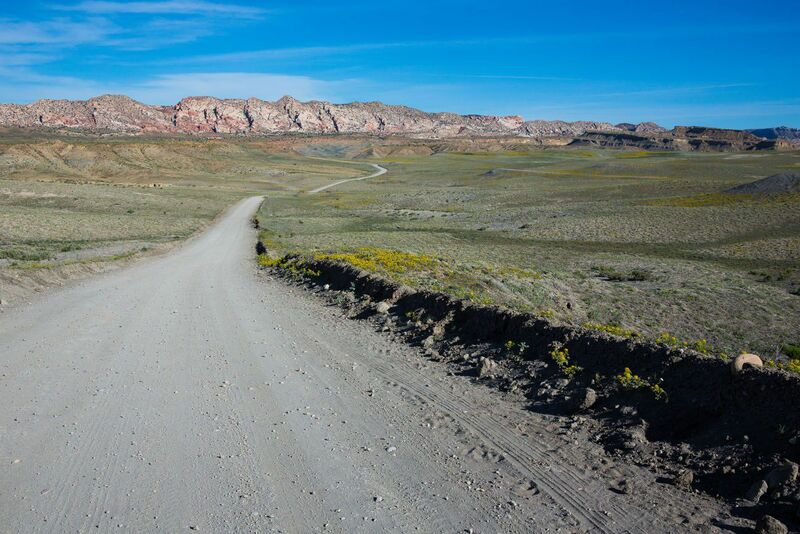 It was a great decision, as this route saved us the time of driving much longer distances on the highways and we got to see a beautiful part of Utah. Road Conditions: Most of the road is a dirt and gravel surface. 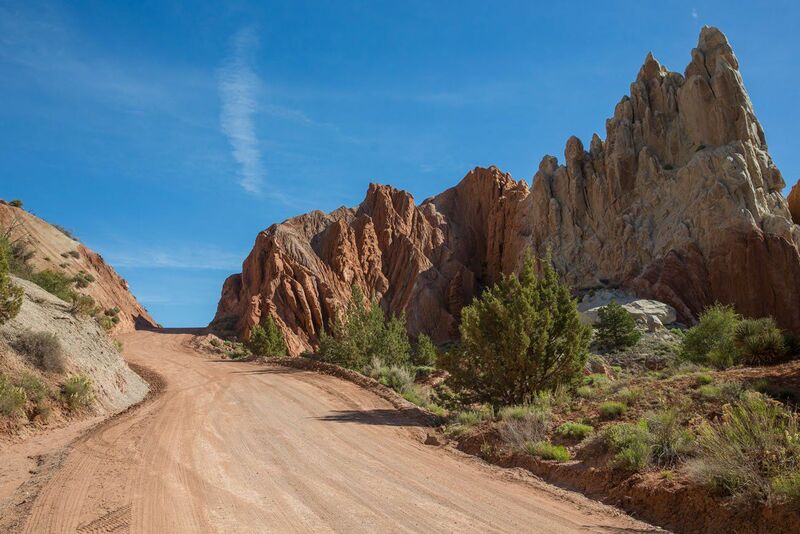 For nine miles, from Cannonville to Kodachrome Basin State Park, the road is paved. Endpoints: Cottonwood Canyon Road starts (or ends, depending on the direction you are traveling) in Cannonville. It ends at Highway 89 just west of Big Water (GPS coordinates: 37.104983, -111.846877). 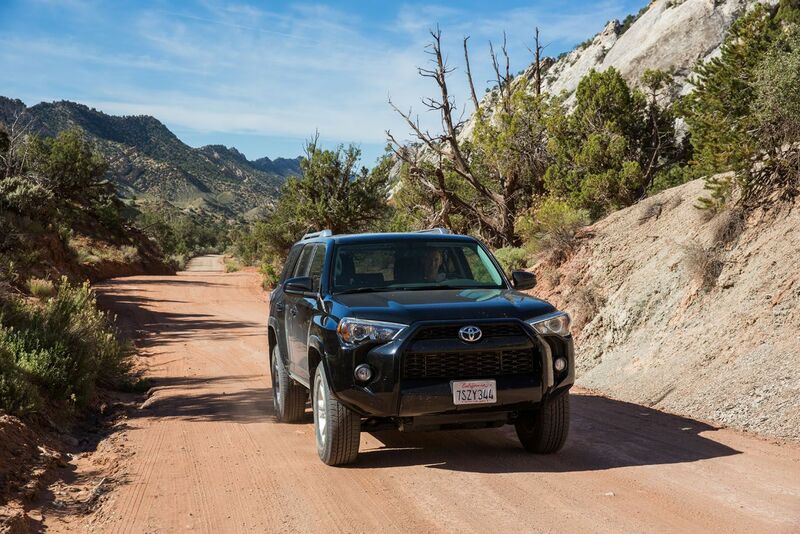 When to go: Year round, although the road can be impassable after it rains, even in a 4×4. Length of Time for the drive: Roughly 2 hours, but this depends on how often you stop to take photos or enjoy the views. How to Use This Map: Click the tab in the top left hand corner of the map to view the layers (points of interest and the driving route). You can click the check marks to hide or show layers. If you click the icons on the map, you can get more information about each point of interest. We drove Cottonwood Canyon Road from south to north. Our journey took just under two hours and we did stop frequently for photos and for a visit at Grosvenor Arch. During our drive, there were very few other cars on the road. It is a beautiful drive through desert and mountainous terrain. Cows graze alongside the road, you are treated to numerous panoramic vistas, and there are several spots where the scenery is just amazing. At first, the road is relatively flat and the views are expansive. We were amazed to see so much greenery here. About halfway into the drive, the scenery is really amazing. Approaching Kodachrome Basin State Park. What kind of vehicle do you need? You can do this drive in a 2WD car. During our drive, the road was in good condition, mostly flat with very few ruts or bumps along the way. We saw several cars on this road and they were driving without any difficulties. Having a 4×4 is ideal but not necessary. If it recently rained, Cottonwood Canyon Road can be impassable, even if you have a 4×4. You will have to take a detour around Cottonwood Canyon Road. You can check the road conditions before you start the drive at either end of Cottonwood Canyon Road. In Cannonville and in Big Water, go the Visitor Centers for up-to-date road conditions. There are several trails and viewpoints to visit during the drive. 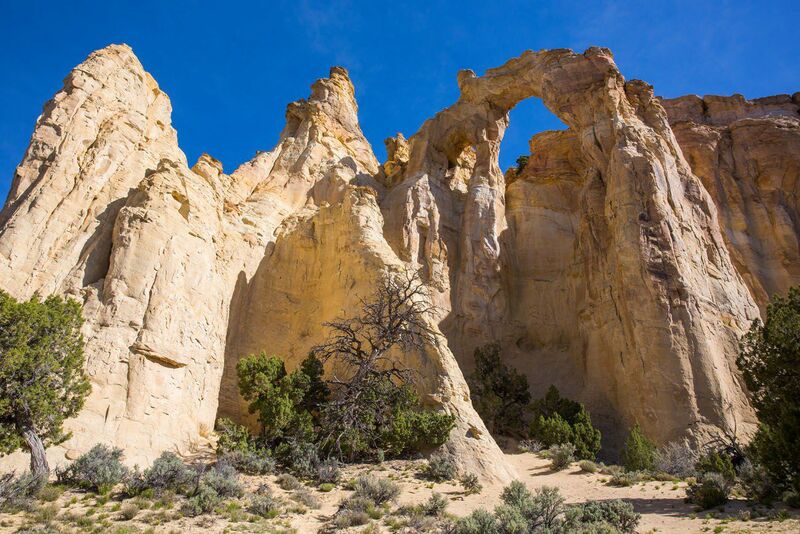 This quick detour is worth it to see these giant, sandstone arches (if you look closely, there are two arches up there). From Cottonwood Canyon Road, it takes just a few minutes to drive to this viewpoint, and then it is just a short walk to get to the arch. 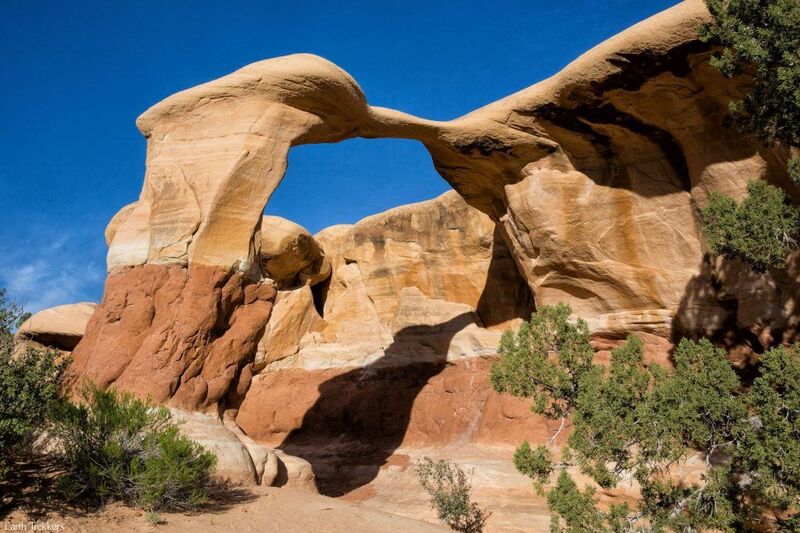 Getting Here: Grosvenor Arch is 30 miles north of Highway 89 and 16 miles south of Cannonville. The GPS coordinates for the parking lot are 37.454383, -111.833030. 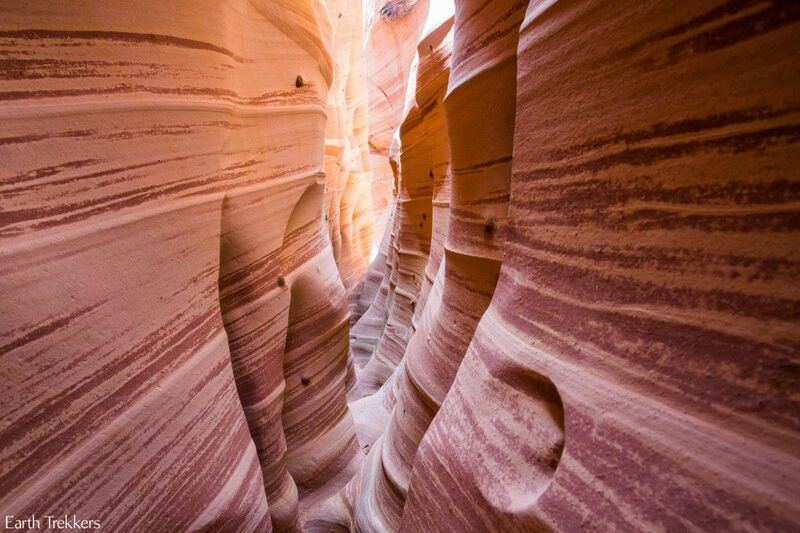 This easy, 3-mile hike wanders through a narrow sandstone canyon. You will be walking through a creek. 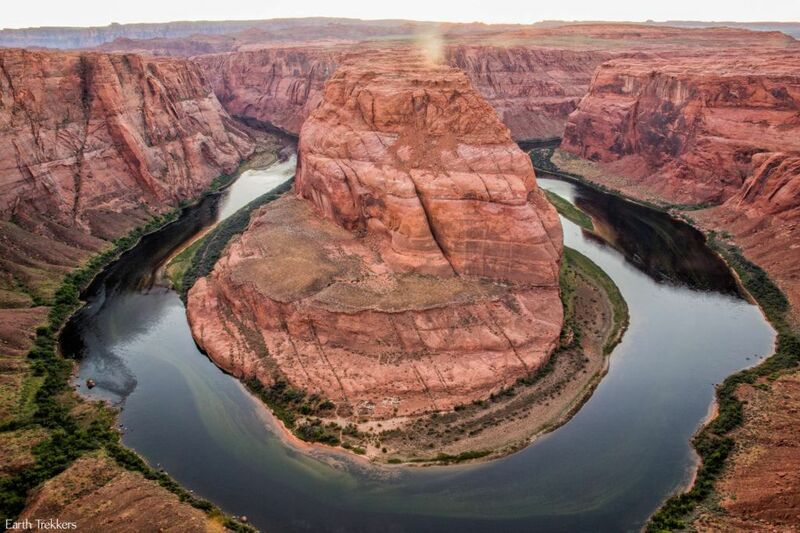 Depending on recent weather conditions, the floor of this canyon could be filled with water so your feet can get wet. This is another short and easy hike that takes you on top of a giant, yellow sandstone rock. From the top, enjoy panoramic views of the area. It is 2.5 miles round trip and takes about 3 hours. 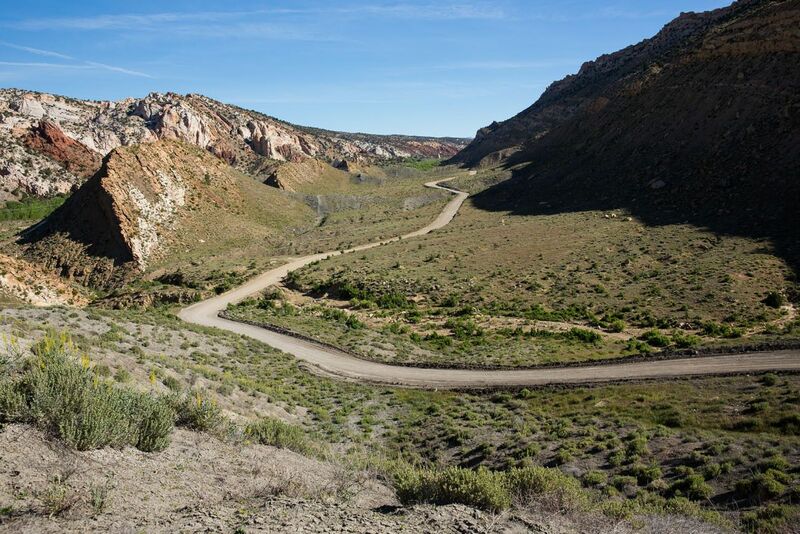 The trailhead is at Hackberry Wash, 14 miles north of Highway 18 on Cottonwood Canyon Road. This short hike through a slot canyon shares the same trailhead and parking lot with Yellow Rock. It is 4 miles round trip and the slot canyon floor may be covered in shallow water, so your feet may get wet. This trail takes you through a narrow gorge of Cottonwood Creek. The hike is 3 miles round trip and takes about 2 hours. 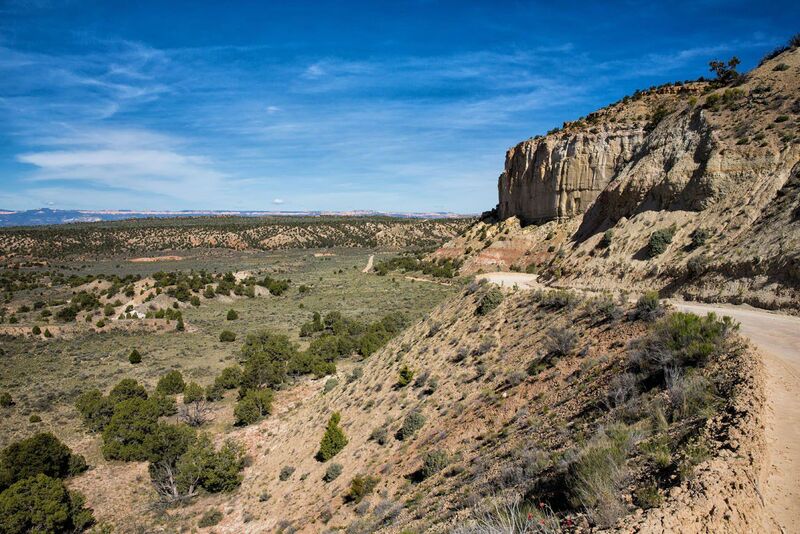 The trailhead is 25.5 miles north of Highway 89 and 20.5 miles south of Cannonville. See the Visit Utah website for more information. We did not do any of the short hikes located right on Cottonwood Canyon Road, although we did make the short detour out to Grosvenor Arch. We had limited time, time we were saving for Hole-in-the-Rock Road and the hikes to Zebra Slot Canyon and Peekaboo and Spooky Gulches. 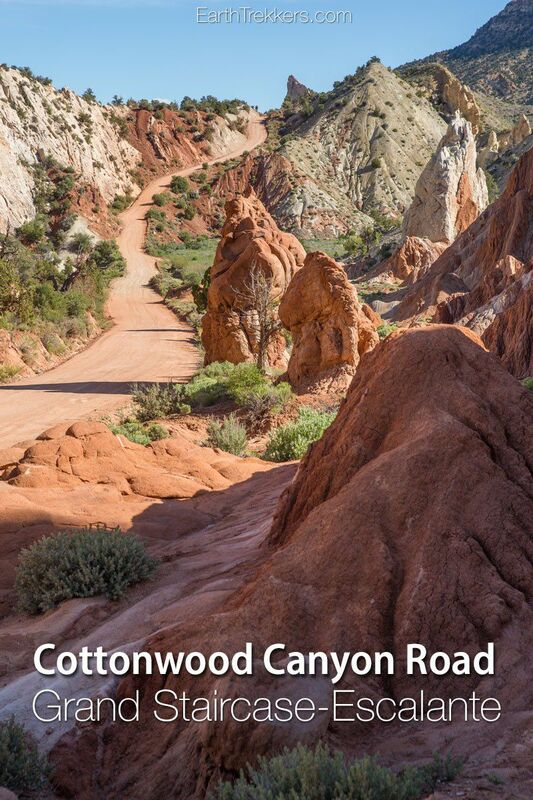 For us, Cottonwood Canyon Road was a scenic shortcut between Page, Arizona and Escalante, Utah. 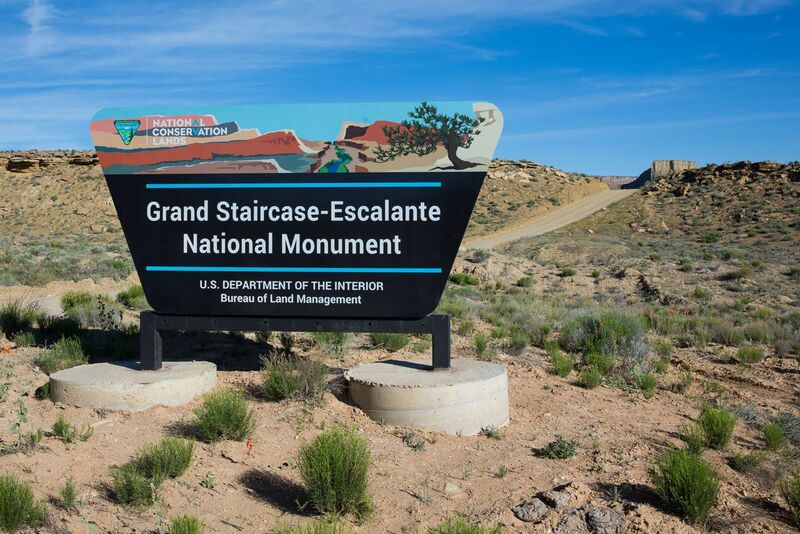 There is plenty more to see and do in Grand Staircase-Escalante. This place is huge and absolutely amazing to explore. 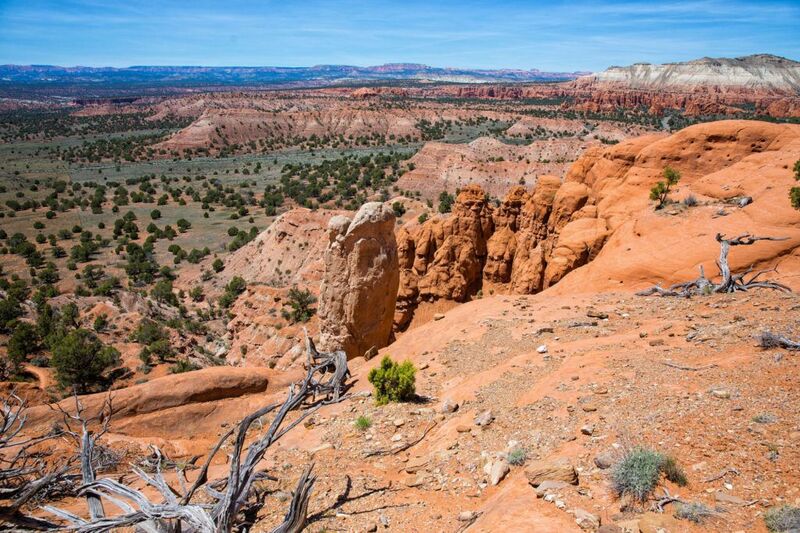 It does not have the same popularity as nearby Bryce Canyon and Zion, so the trails are less crowded and this part of Utah feels more remote. One hike that we did not have time for (but is first on our list on a return visit here) is Coyote Gulch. This is an all day hike, almost 11 miles in length, but some people split the hike into 2 days as a backpacking trip. Need more travel inspiration? 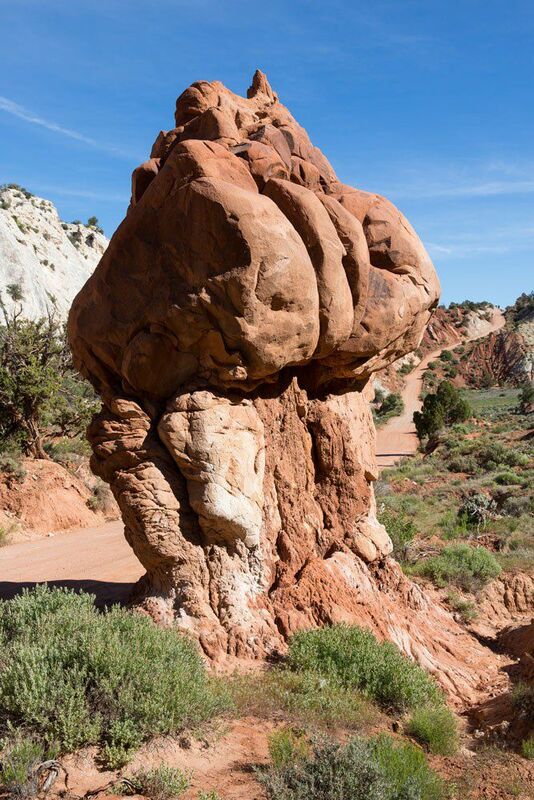 If you have plans to visit Utah, check out these posts. Thanks for the detailed information on Southern Utah. I live in Northern Utah and love to explore. If you ever want a full day slot adventure in Escalante, check out Egypt 3 slot canyon. I would say older teens and adults only on that one, and I love how it goes on and on. 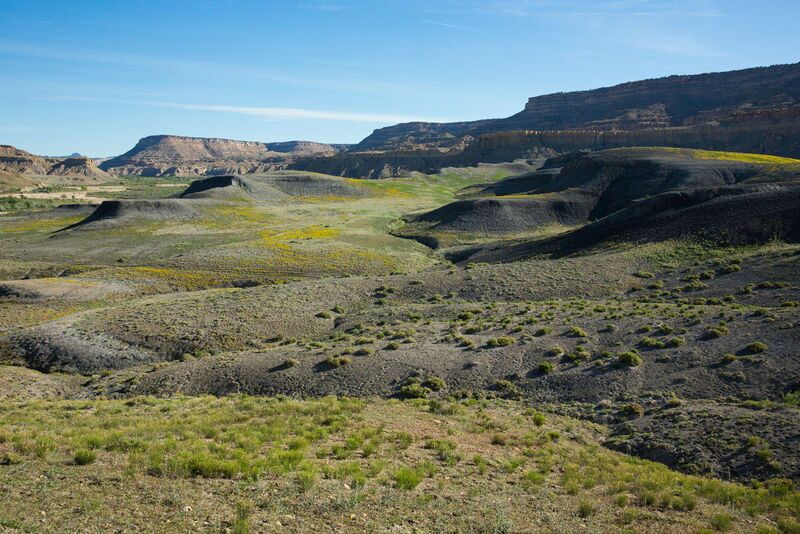 Also, Little Wild Horse Canyon is longer and a blast with kids and its right next door to Goblin Valley. Come to Northern Utah sometime. The alpine lakes and trails are amazing. Check out the High Uintas, the Big and Little Cottonwood Canyons in SLC, and Timpanogus Caves, and Timpanogus Peak (15 miles round trip from Timpanooke or 24 miles from Aspen Grove). If you like mountain biking, the Crest Trail is epic, especially in the fall. Quick trip but the perfect time to explore the narrows. You should have the place to yourself! Enjoy! Keep us in mind for your next trip out this way. Offer stands! Having ridden Cottonwood Canyon road on a motorcycle, with rain starting at about the halfway point and stranding us nearly until dark, I would say: There is no “may be” about the “impassable when wet”. This applies for every single non-paved road out in that part of the country – when you see a sign at the start of a road that shows the “impassable when wet” warning, it is not telling you that you might get stuck, it is informing you of the certainty. If there’s even the barest threat of rain, either carry everything you need to spend an overnight on the road, or do not travel the road.